Hello, and welcome to the website of the Office of the Judicial Administrator (OJA); my name is Michelle R. Horvath, and I serve as the JA. While colloquially in the Cornell community, the letters “JA” are used to interchangeably describe parts of the conduct process: such as “I was JA’d last night” (which denotes being referred to the OJA), or “I received a JA” (which connotes being held accountable under the Code), the term “JA” is an abbreviation of the position of the Judicial Administrator, a role outlined in the Campus Code of Conduct (Code). The JA is responsible for the OJA, which is the office which “receives, investigates, and pursues accusations of violations of the Campus Code of Conduct, or of any other regulation as the University Assembly or Board of Trustees may direct” (Title II. Art. II. Sec. A (pg. 11, 2018)). 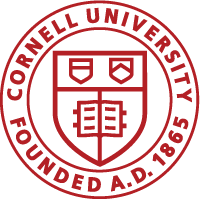 The Code is a University policy which outlines Cornell community conduct in order “to protect and promote the University community’s pursuit of its educational goals” (Title One. Art.1. Sec. A (pg. 1, 2018)). Given the Code is a community document, the Code covers the conduct of students, University registered student organizations, and faculty and staff conduct arising outside the course of their employment. The Code also outlines the process in which reported violations of the Code are handled, as well as the role of the OJA. request your conduct history at Cornell. While this website serves as a preliminary resource, I encourage you to contact the OJA if you have any questions, to request a presentation, or for a deeper exploration of the role of the OJA in the Cornell disciplinary system and the Code as we all work to uphold the values outlined in the Code.